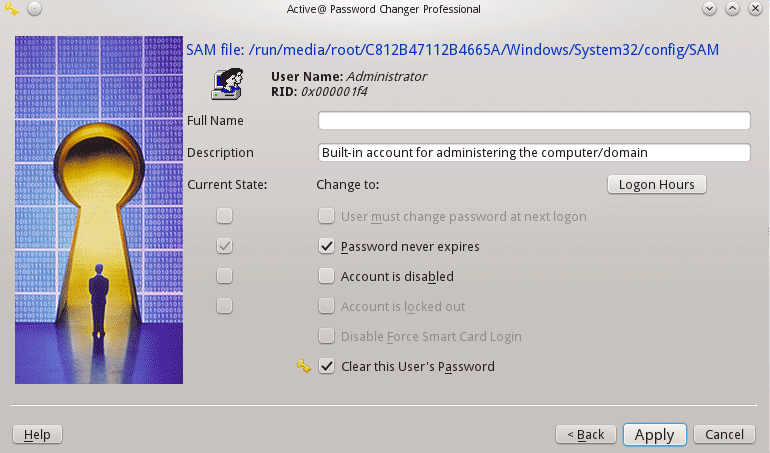 You can use Active@ Password Changer to recover your Windows passwords and user account attributes. 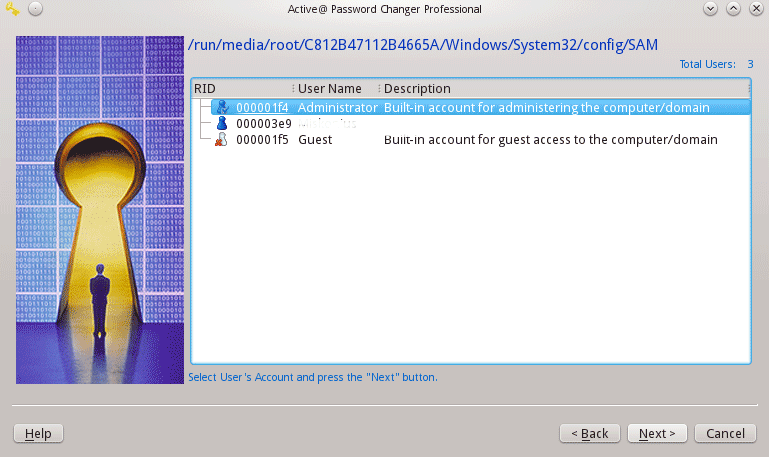 Active@ Password Changer is designed for resetting the local administrator password on Windows Operating Systems in case the administrator's password is forgotten or lost. 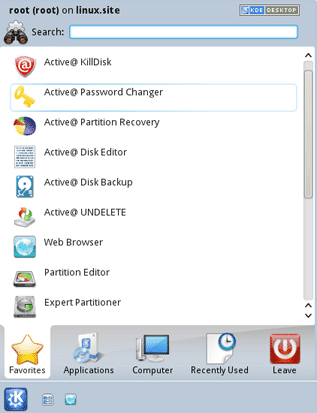 There is absolutely no need for you to re-install and re-configure the operating system. 1. From the Active@ LiveCD shell, click Start > Favorites > Active@ Password Changer. 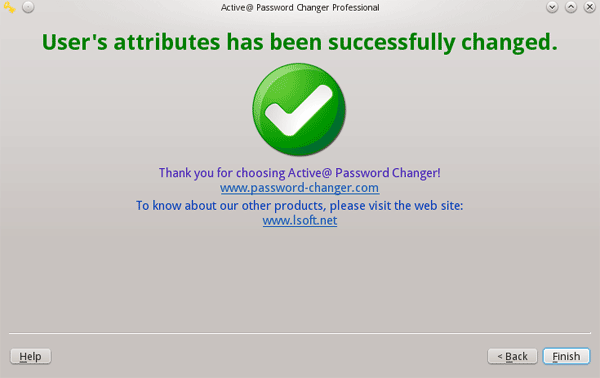 The Active@ Password Changer dialog box will appear. 2. Search all volumes for Microsoft Security Account Manager Database - let Password Changer search all of your drives in order to find Microsoft’s Security Data Base..
3. Select volume with Windows operating system manually- if you want you can also search for the drive containing Windows system by yourself. SAM hive should be located here. Note! 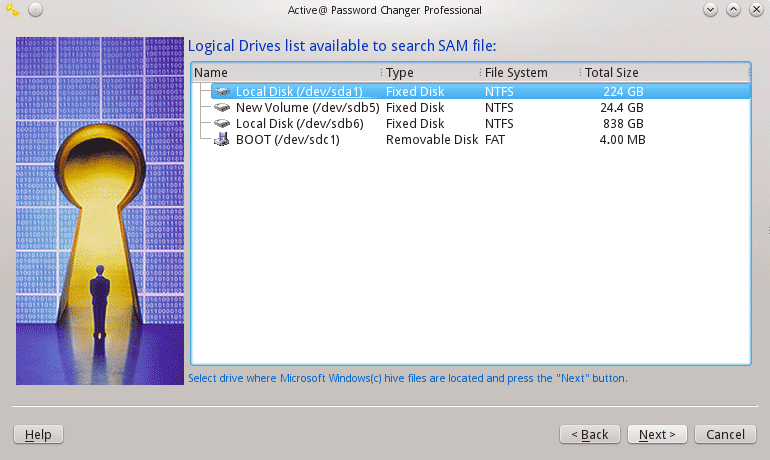 Manually copying SAM data base is possible only when the operation is being conducted from another operating system. b. Click Next. 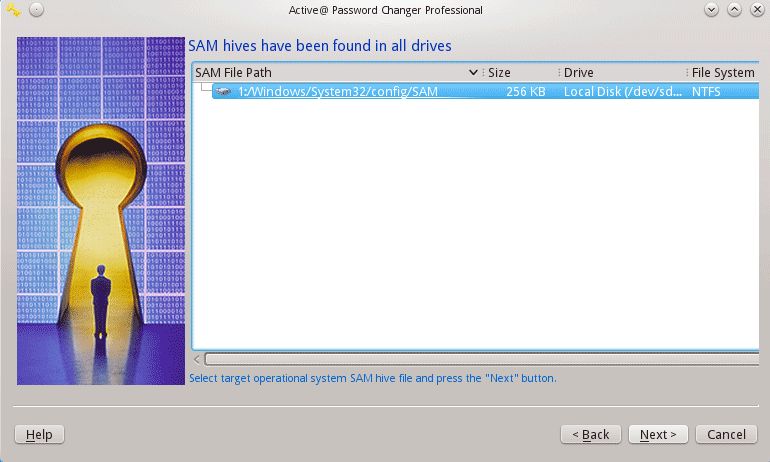 The progress bar will indicate the scan status and in a few moments a list of SAM hives will show up. 5. The list of users will open up. Select the user whose password you want to reset and click Next. 6. Select parameter check boxes to create the solution that you want. Those who just want to reset the password on the user account we suggest leaving the default settings. 7. Click Save. A confirmation dialog box will open. 8. Click Apply. An information message will indicate that the changes have been made successfully. 10. For each user that you want to change, repeat steps 5 through 9.